DKJ Support Services is a specialist bid writing service providing end to end bid management support for your organisation. Did you want to bid for tenders but don’t know where to find them? We can help you by searching for the right tender for you and have these opportunities instantly in your inbox. You know you can provide the service but can you articulate it on paper? We can support you in looking at the service you are bidding for and describe it in the tender. As well as service modelling, we can provide all of the necessary documentation you need to bid for any tender – policies, procedures and strategies, we do it all. You have found the tender but does the paperwork seem overwhelming? We can put together a bid plan, look at the high scoring themes, write the actual tender, upload to the portal and submit the bid. You have written the tender but not sure that it covers all of the points? We can read and provide feedback on your submission before you bid. In partnership with Agencia, we have set up a ‘one stop shop’ for all primary care organisations to access professional services in one place. We provide bid management support to clients as part of this consortium. Our consortium members, associate members and affiliate members including Capsticks Solicitors, BHP Chartered Accountants and Lloyds Bank can provide all the support GP Practices, Federations, Pharmacies and Care Home providers will need. We deliver a wide range of learning and development sessions including coaching and mentoring for a range of organisations from start ups, SMEs, public sector organisations and the voluntary and community sector. Pricing – How to Price Your Bid Right! 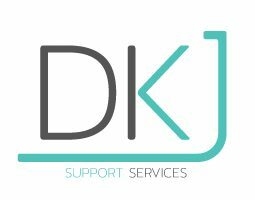 DKJ Support Services are a Hull based company providing end to end business support to all organisations – from SME’s and UK wide businesses to sports clubs and schools.